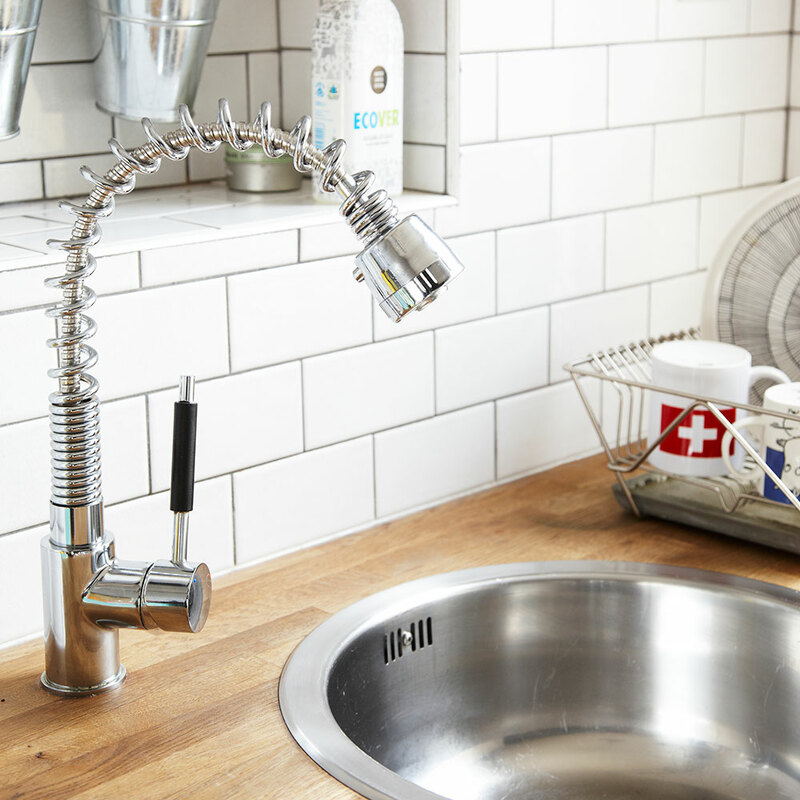 If your kitchen needs a mini makeover, why not upgrade your tap? It’s a job you can tackle yourself, and with a wide variety of taps available from as little as £40, it’s a low-cost upgrade, too. You’ll need access under your sink, and to know how to turn your water supply off and on again. 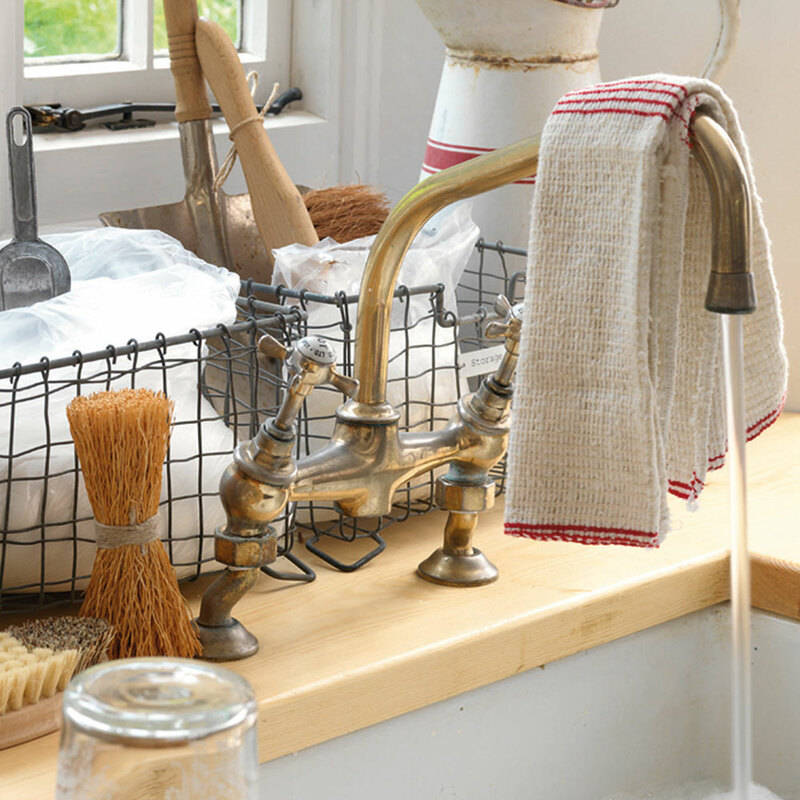 Read on to get the lowdown on how to change a tap and completely transform your sink area. This will help you determine the best tap to buy as a replacement. 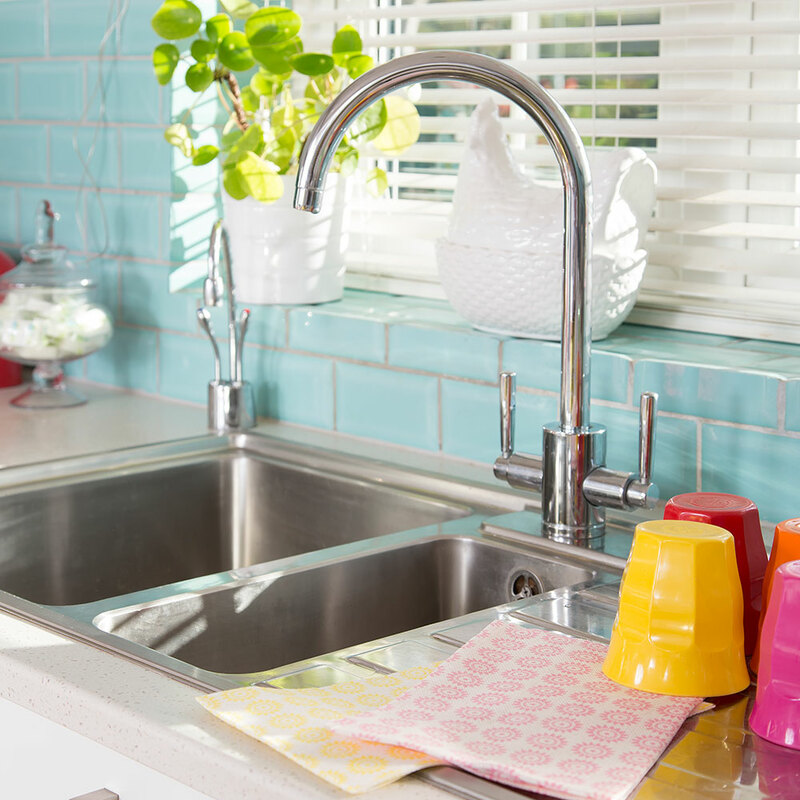 Because, to get the most from your new tap, it’ll need to suit your home’s water pressure. If it’s low, then a tap designed to operate at a low pressure will ensure a steady flow rate, while if it’s high, you can choose one with more innovative features, such as a spray head. Make a note of which supply pipe is hot and which side is cold, labelling with masking tape. Turn off your water, either with the isolating valves, or by shutting the stopcock. Run the tap to drain any water. Spread an old towel inside the cupboard and place a bucket to catch the drips. Loosen the nut attaching the tap to the mains pipe using an adjustable wrench (you may have two supply pipes each end with a compression fitting or two shut-off valves in the pipes under the sink). In each case, loosen and disconnect the joints with the wrench. At the base of the tap, you’ll find a brass nut that holds the tap in place. This is the nut that is screwed onto the threaded bar that is attached to the base of the tap. You’ll also find a washer, too. Use a box spanner or a deep-pocket bar and ratchet. Give the area around the tap hole a good clean to remove any limescale. Assemble your new tap if necessary. The new tap will have a tube with an external screw thread at its base. Push the tube down through the hole in the sink or worktop, then push the retaining plate and washer over the tube. Fit the nut and tighten with the wrench or pliers. Check the hot and cold connectors aren’t twisted. Reconnect to the supply valves or pipes. If the pipework to your old tap had a flexible hose, then fitting a new tap should be straightforward. If you have solid copper pipes, then unless your taps are the same length, you’ll need to use flexible hosing to bridge the gaps. Tighten the joints, and then turn your water supply back on. 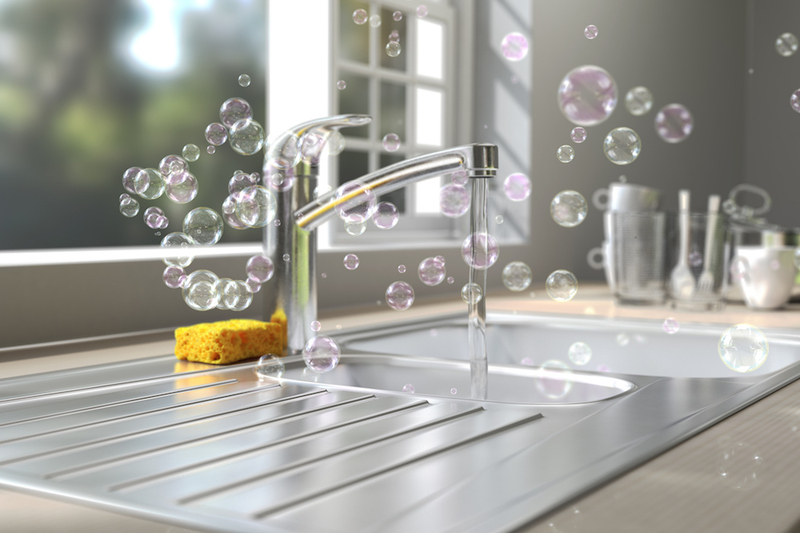 Before you tidy away, test your tap works and check that there aren’t any leaks. 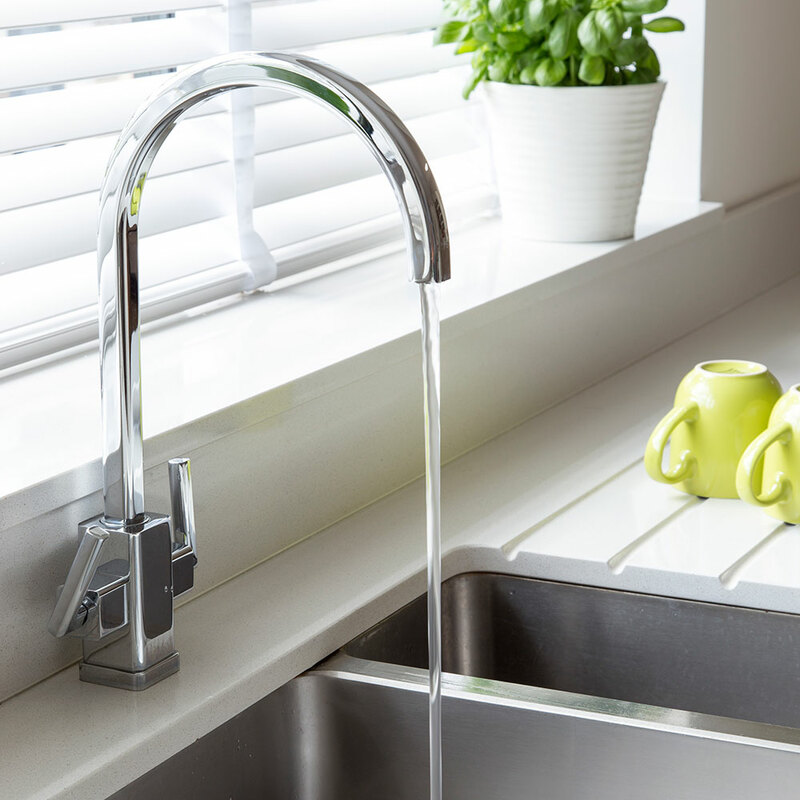 When testing your new tap, turn it on slowly to avoid an initial rush of water – it may gurgle a bit at first. If a compression joint (see step 3) is leaking, you might need to undo the joint and wrap some PTFE tape (plumber’s tape) around the inner compression ring.